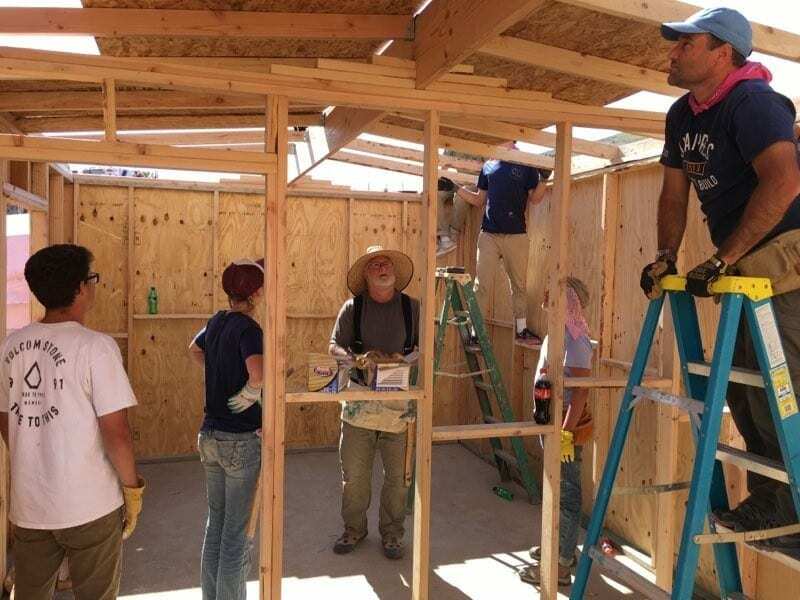 Tijuana, Mexico – Before Griffin Williamson of Sevan Multi-Site Solutions got involved, families in Tijuana, Mexico were living in homes built with nothing but plywood and tarps. In comparison to how others live in the world, these living arrangements might be undesirable; but to these families, they were home. Griffin joined with his local church to build Tijuana families homes where they could feel safe and secure. The mission was made possible by DOXA, a company that exists to facilitate acts of service to disadvantaged families in the greater Tijuana. Work began with volunteers traveling across the border into Mexico. Williamson was among eight adults and 36 teenagers to build three houses in five days. Concrete was mixed by hand and shovel (no mixers) and wood was assembled by hammer and nail (no power tools). The volunteers were split up into three groups, each of which included two adults, one experienced team leader and roughly a dozen teenagers. For the project, Rod Jones, owner of Jones Lumber, engineered a simple house build design that could be built step-by-step by teenagers, with no experience required. He also provided all lumber and materials for the houses. The teenagers were responsible for building the houses, with the adults acting as supervisors, and only lending a hand when needed. The finished homes were beautiful successes, with concrete foundations, no water leaks and some even with electricity! Throughout the mission, Williamson encountered firsthand how families like these appreciate the work being done for them. “The interactions and bonds formed with the teenagers and the children they are building the houses for are just incredible,” says Williamson. Everyone became so close. It was as if we were family. It really brings the community together in a positive way. After each house was completed, the builders participated in a key ceremony in which they presented the family the key to their new home. The teenagers were able to share their life-changing experience with the new homeowners and welcome them to their new space. Many exchanged hand-drawn pictures with the children of the households. Williamson lived out Sevan’s core value of Charity with pride. That’s why Sevan provides paid time off to team members so they can participate in experiences the DOXA and to give back to those in the world who are not as fortunate. 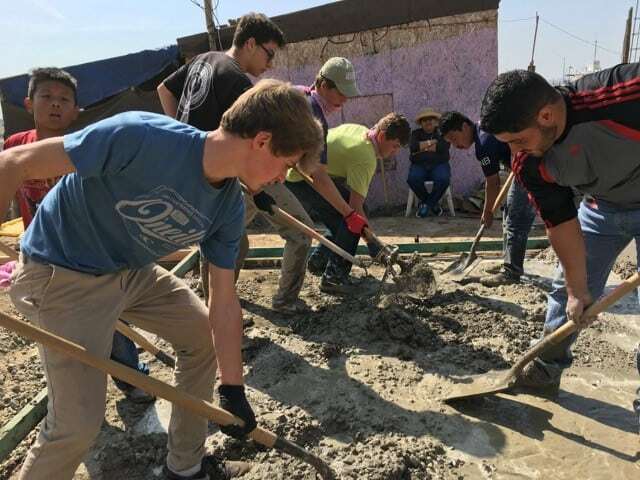 DOXA engages groups of students and adults to explore the joy of service by investing in the community to build a wider understanding of the world through the construction of homes and service projects for disadvantaged families in Mexico. DOXA has been providing housing for families in need in Tijuana since the early 1990’s and has built over 1,800 homes. If you have a charitable group or cause you are passionate about, grab a team member and get them involved too!